To get a FREE Butterfinger Sample at Sam’s Club Check the Find a Freeosk page to see if your Sam’s Club is participating. 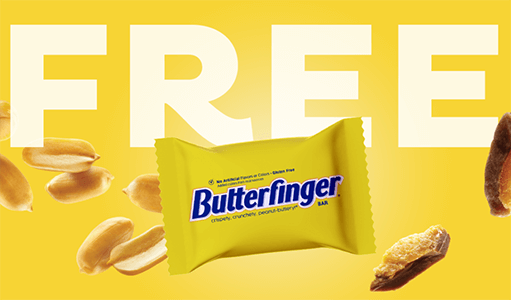 If they are, visit the Freeosk Sample Booth at your store to get FREE Butterfinger Sample. FREE at select clubs, starting April 12th while supplies last. These samples only available at select locations. Sam’s Club Membership required. Free samples available while supplies last. One sample per membership ID allowed per program. If you get two, consider yourself lucky.